It was just a matter of days ago. A single moment now etched, actually deeply engraved, in time. A moment that for many lives has changed life forever. And it was spotted so randomly, half way across the world, half way through a long-haul journey. Half-focused, half awake. Nairobi was under attack. Again. Once again a nation that has experienced far too many attacks on its people, its security, its stability and therefore its image in its history, is hit. Again. 15.01 2019 – an attack at a well-known hotel in Westlands, a popular, modern suburb in the nation’s capital, by the Islamist militant group Al-Shabaab, sees the news cameras and social media of the world turn to the scenes unfolding outside the DusitD2 hotel. Scenes feared by cities across the globe, yet seen to often in today’s times of global conflict, eclipse what should be the images that represent the vibrant, confident, characterful and proud DNA of the city of Nairobi, and people of Kenya per se. By the time the dust at the DusitD2 had settled on 16.01.2019, over 20 souls were lost, over 700 evacuees were trying to banish the horror of the experience from their minds and hearts while their bodies healed. Officials, able to contain the situation swiftly (just 20 hrs), were trying to manage the damage to the country beyond the immediate and the obvious. 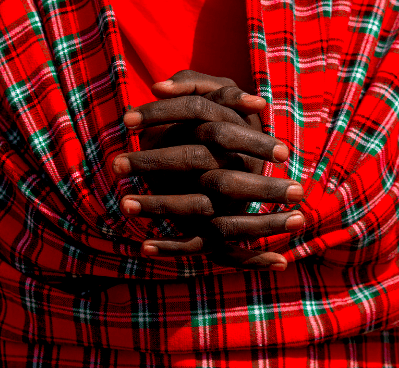 The lingering threat to the magic of Magical Kenya, and magical Kenyans: their image, and their spirit. When moments of crisis occur, whether acts of God, acts of Mother Nature, or acts of angry men and women, in today’s world of global media, traditional and new media, it is so easy for people thankfully uninvolved, near and far, to simply sit back and watch, safely and comfortably, through screens large and small. Sadly, many quickly feel the desire to also start commenting, whether accurately informed or not, more often hurtful than not. Silence is broken only through social media comments. These are times, however, when touch is more important than technology. Immediate response should be prayers and support, not opinions and speculation. Such was the instinctive response that day, in those initial moments of the Nairobi attacks. With eyes filling with tears, call were made, reaching out to Kenyans loved as colleagues, friends, citizens, to let them know they were not alone. Why? because this horror was happening to Kenyans – this is NOT who they are. These are people, not profiles. This was real, this was raw, it is terrifying. Adrenaline was flowing. Fear was mounting, uncertainty was spreading. Prayers were needed. Now. For one increasingly involved in professional and personal media messaging, it was an interesting moment of truth. True nature rapidly rose to the top: touch, quickly, directly, compassionately. The tech is for transmitting prayers only. As the days post-attack unfolded, the remarkable strength of spirit of the people of Kenya shone through, again, through their presence both live and online. Because of this the global community rallied around the nation, holding back on judgment and resulting punishment through such blocks to economy, society and identity such as travel advisories and investment alerts. Magical Kenya’s magic is because of its people, and their ability to stand together, #KenyaStrong. The spirit of Kenya, Kenyans, burns bright. Courage takes strength of character – a strength that is able to stand up to attacks of people, place, principle and promise. So too does support, wherever in the world it may be needed, wherever next the world’s eyes are suddenly turned.